Congratulations to Flirtey, whose Pixhawk-powered delivery drone is now on its way to the Smithsonian museum. Is Deep Learning the future of UAV vision? A few weeks ago Chris Anderson shared a post about the efforts of bringing obstacle avoidance to PX4. This efforts are based on Simultaneous Location And Mapping (building a map of the world in real time) and Path Planning -- For the sake of conciseness i will call this approach SLAMAP. There was only room for 400 people, so the others had to wait outside and watch the livestream. Thousands participated online. APM/Pixhawk/PX4 are huge in China. What a success! Drone Post Flight - from your web browser! This is a web-based application that allows you to upload your flight .log file and review the flight in 3D directly in your web browser! Feel free to register and start uploading and exploring your flights! This post will also appear in sUAS News ‘The Market’ and is a follow up to a previous DIY Drones post: New Research on Drone Buying Experience. 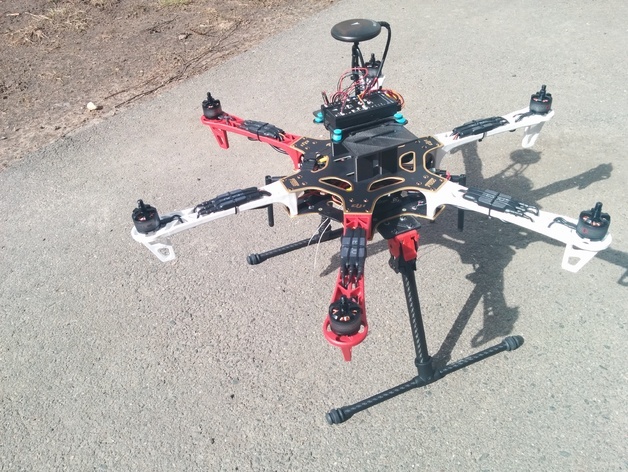 I using DJI Flame Wheel frames as workhorse for my experiments with drones. They are really robust, cheap and lightweight. Lack of room for modules is the only problem with them. Do you need a nice LRS 433MHz antenna? Do it yourself! The LRS I test, is my own variation of OpenLRSng, where the key is to have the ability of controlling the plane and receiving the data from the plane (from it's APM + receiver status) using the same link. The french car manufacturer PEUGEOT launches in Germany a drone film festival with european destinations. Together with the german branch of DJI INNOVATIONS and the Tuscany Resort CASTELFALFI the PEUGEOT DRONE FILM FESTIVAL 2016 will honor the best drones films in four categories.